Adam was born and raised on the Eastern Shore. After graduating from Salisbury University with a Psychology degree, Adam decided to follow in his dad's footsteps by working in roofing. 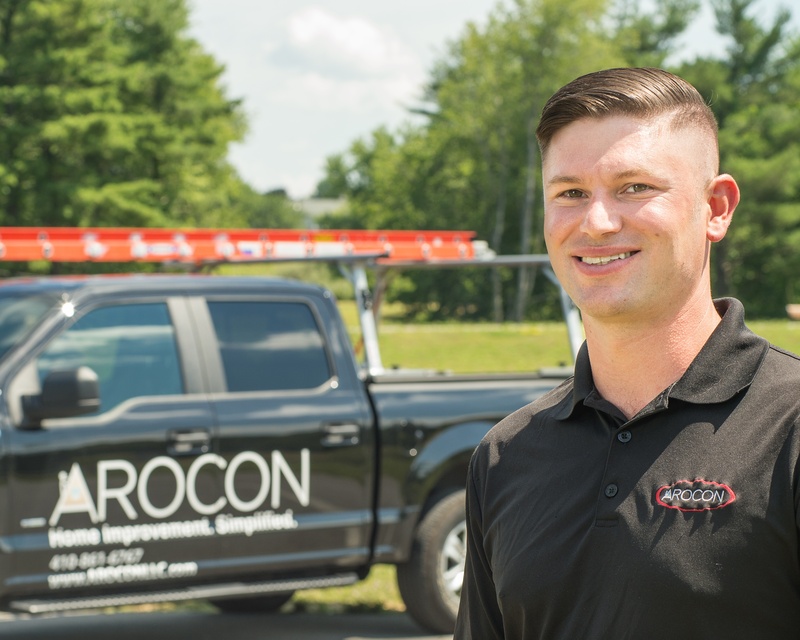 In 2015, Adam was introduced to AROCON Roofing and Construction by his father Nathan Whitaker, and joined the company as a Project Consultant. Recently, Adam moved back to his hometown of Cambridge, Maryland, and has helped launch our AROCON Eastern Shore division. He has had great success in this area, and has wonderful plans for the future! Adam loves the excitement and challenges of working on new projects everyday and meeting new people through AROCON. When Adam isn't busy helping his roofing customers, he can be found golfing, fishing, playing sports, and hanging out with his fiance Taylor. I had a roof repaired and guttering installed. I was very impressed with the prompt service. Adam arrived on the day and time that was originally set up. He was very knowledgeable in roofing problems and knew exactly why the previous repairs had failed. After excepting his bid, the office called and set up the day they would perform the work. Had to be rescheduled due to weather but I was notified and a new day was scheduled. The job was excellent and you could not tell they had been there other than I had a new roof and guttering. I would highly recommend this company. I had called another roofer who said he would come by on Friday or Saturday 3 weeks ago and I have not seen or heard from him since! Very knowledgeable staff, were able to identify my trouble spots and fix in a timely manner. Polite courteous professional! Thank you so much to Tom for leaving such an amazing review! We always try to go above and beyond for our customers, and make sure things are done in a timely manner, and we're so glad that Tom took notice.